While Rovio's already revealed the next galactic entry in their super-successful Angry Birds franchise, there's still room for them to grow as a business. Right now, the Finnish company's a one-property entity and even if that property is as ubiquitous and popular as Angry Birds, they're still at risk if bird-flinging is all they do. If Angry Birds proves to be a fad, then Rovio's own house will come crumbling down. "That's another one of the areas we are starting to be ready for -– acquisitions... It would be very easy for us to just go shopping," he said. "To get lasting benefit is the hard part." 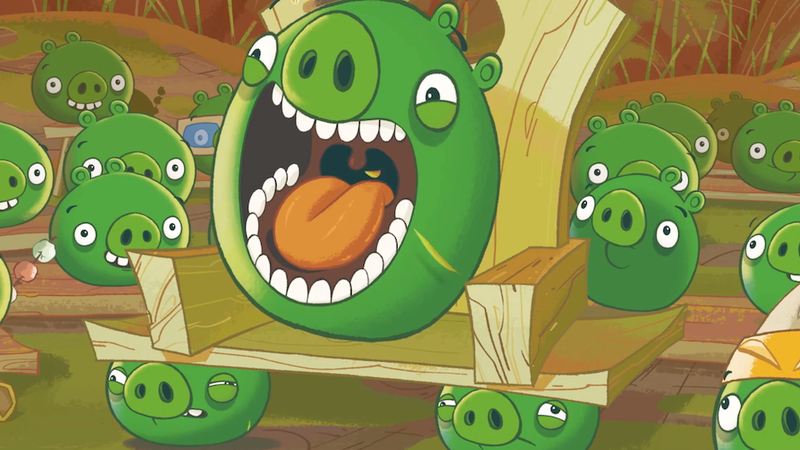 Hed also mentions another non-Angry Birds game in development, too. It's going to be a combination of all of these efforts—buying smaller, promising developers, pushing out content that they themselves didn't create and diversifying the games that they do produce—that will provide the roadmap to Rovio's future. They're going to have to do more than just Birds at some point, especially if they want to become a publicly traded company in the future.